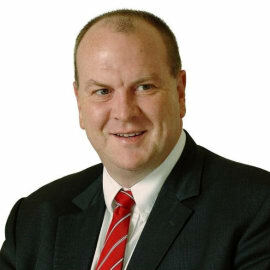 Peter McGregor is Chief Executive Officer of Think Holdings, a Melbourne-based procurement and payments technology business. He has over 25 years’ experience in a range of senior roles. Prior to joining Think, he was Managing Director and Head of Industrials, Food, Beverages and Agribusiness at Commonwealth Bank of Australia. He is also a former Partner at the investment banking firm Goldman Sachs JBWere and former Chief Financial Officer of ASX-listed Asciano Ltd.
Peter is an experienced company director, and currently serves on the boards of Nutrano Produce Group and the Brisbane Lions Australian football club. He is a former Chairman of the Port of Geelong and a former Director of Melbourne, Gold Coast and Darwin Airports, and of the ASX-listed Australian Infrastructure Fund. He has also previously served as a member of the Prime Minister’s Rail Projects Task Force and the Business Council of the National Gallery of Victoria.